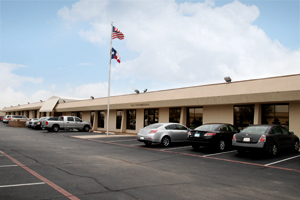 Our HQ management personnel are housed in two regional offices that are purposefully located adjacent to AAFES HQ and NEXCOM HQ for the convenience of our customers. Our on-site retail showroom simplifies product category and POG reviews for our clients and customers at our offices, with complete store fixtures or displays to duplicate an in-store presence. MSS enjoys the advantages of large company revenue and infrastructure, with marketing teams that are deliberately focused in a merchandise category, a key difference that allows our team members to be category experts with a deep knowledge of their products, and their competition. Our highly-trained Sales Directors develop core sales and marketing strategies and field team execution plans in collaboration with our clients. 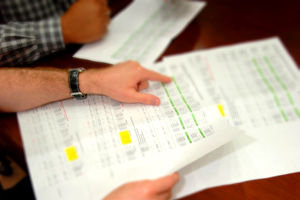 We are the key POC on your behalf for all channel activities: assortment proposals, SKU set-up, promotional scheduling, competitive information, order status, global training, retail performance, and extensive data reporting working towards optimal supply chain performance and rapid worldwide response capabilities. A simple promise, we will prove our ability to meet and exceed your goals, on time and on target, with disciplined metrics and verification processes in place for assured retail execution around the globe. Our firm has won every major award given by our customers through the years for exemplary in-store service. 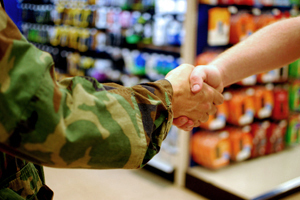 This acknowledgement and praise redoubles the effort of our team to advance ever further, with a proud sense of purpose in our mission to support the military exchanges and consumers. © Copyright 2014 Military Sales & Service Co. All Rights Reserved.